Benefits to Living in the Burbs - Home Funding Corp.
City living can be fun, even adventurous but have you considered the benefits of living in the suburbs? The suburbs are boring and meant for when you start a family. This isn’t the 1950’s anymore. The suburbs have more advantages than you might have considered with plenty of entertainment and more space. Imagine trying to store a dirt bike in your mid-city studio apartment. 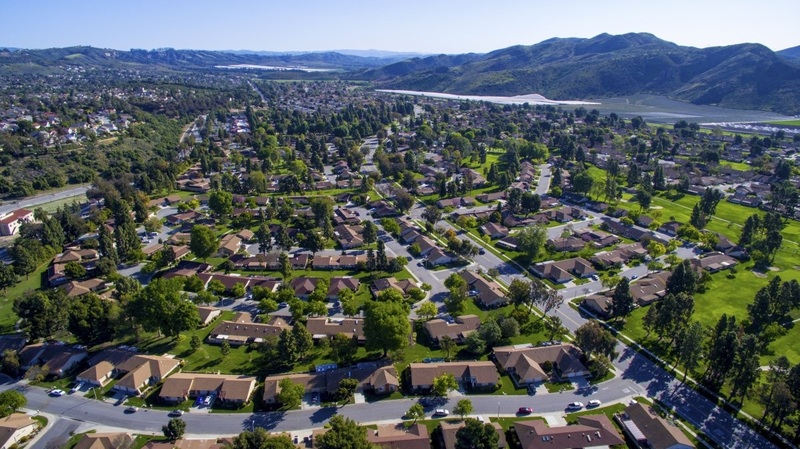 Let’s take a look at some of the benefits of suburban living. Shopping for food in the suburbs is like looking for a bar in the city, they are virtually on every corner. And with apps like door dash, you don’t even need to leave your home. Now a days many suburbs boast a mall, Movie Theater, and restaurants everywhere. Not to mention plenty of local bars. Surprisingly there is a lot of variety. You could probably find a bar, sushi, Mexican food, and a Denny’s in the same shopping center. Probably the best advantage of living in the burbs is the space you get compared to the city. Who needs a car port when you can have a 3 car garage and a drive way? And how about having a back yard? No I don’t mean that sad common area on the roof of your building but a real back yard full with grass, tree, and maybe a garden. Want to host a party, not a problem in the burbs with a dining room to eat in and a patio for beer pong. Also there are less people and less traffic in suburbs. On average, families spend $9,000 more in the city than in the suburbs according to Zillow. That includes housing expense and child care. If abundant space wasn’t a selling point then affordable housing is. For the same price you pay for an 800 square foot studio apartment, you could get nearly double square footage in the suburbs and you wouldn’t even have to share a wall with anyone. This may affect some more than others but I can’t imagine that living in the city is quit. Unless you live on a busy street, suburbs are designed with cul-de-sacs designed to reduce noise and increase safety. The suburbs can give a person more privacy since houses aren’t crammed together. Also, most people don’t have to share a common wall with their neighbor were you can hear everything and I mean “EVERYTHING”. And trust me your neighbors don’t want to hear you getting freaky either, it’s just weird. Many homes also boast their own swimming pool where you can relax without having to claim a lawn chair before others get there. It doesn’t take a rocket scientist to figure out that crime is much higher in the city than it is in the suburbs. Los Angeles for example has a crime index of 14% (100 is the highest). That’s fairly bad, however Altadena, a neighboring suburb of LA, has a crime index of 53%. It might not seem like it but that’s a huge difference in safety.